I have used storage 2 times now and have found it secure and easy to access. My items are kept clean and safe. Thank you Storage King and if needed in the future I will be back. Friendly and helpful staff, very competitive rates and clean, secure units. Amazing customer service. We have had storage for over 6 months. Nothing is too much. We went to visit and Scott showed us all the different size units for us to decide which one to get. Ended up getting the biggest size and it's very well priced. Great security. Excellent staff who make helpful recommendations and work with you to find the best storage solution for your budget. Highly recommended! This was the first time I needed to use a storage facility. I have found the staff at the office very helpful, cordial, accommodating and the service has been great. prompt customer service, flexible in order to best meet client's needs. For example, we were able to switch to a larger unit on the day without problems or hassle. Great staff who are always ready to assist with any queries. Clean, secure units in a convenient location. Thanks for everything Kathy. You made my experience a true pleasure. It was easy to move in and when I needed to retrieve my goods, you made it easy for me to send a removalist to collect my belongings. Thank you so much. The staff were very helpful. The facilities are clean, secure and well maintained. Have been very happy with the storage unit and will continue to use storage king for all our storage needs. Very convenient, easily accessible,great access hours, take good care of our goods. We have no worries about the security of our goods. Would recommend to all prospective customers. 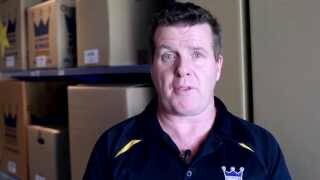 As a long term customer of Storage King North Geelong, I have no hesitation in recommending the facility. Access around the site is generous, and I can enter my unit 24/7. The units themselves are secure, well constructed and I have had no concerns with dampness or pests of any kind. I have been storing my belongings at Storage King North Geelong for 18 months now and they have always been professional and helpful with any query I have had. Way to go guys !!! I have been using Storage King for storing all our household items for the last few months whilst travelling overseas. The competitively-priced storage unit is large enough for all our gear, and I don't need to worry about security with the onsite CCTV and personal PIN entry and exit system. A big plus for me is that Storage King has a 3 tonne removal truck that anyone can use for $1.50 / km - this beats hands-down renting a truck - all hassle free. They also have a free trailer! The friendly and helpful owners, management are very easy to deal with, and I receive my monthly invoice by email which I can pay through online banking which is ideal when travelling. All the best to Storage King!! We are very happy with the services of Storage King, North Geelong. The staff are very helpful and quick to respond to any queries or questions. The storage unit is safe and secure. Their additional services such as removal trucks are very reasonable and make the process of packing and unpacking storage very easy. Great and friendly customer service and great prices. Truck hire was so convenient and cheap. Thank you Storage King North Geelong. Have used Storage King North Geelong previously for 6 months storage. They have every convenient size dependant on what you need to store, which in our case was a house load! They provided great service and security, even the use of their removal van for free, which saved even more money and was very convenient. Our stuff was in great condition, the premises are well looked after and weather proof. Give them a call, very competitive rates, best in town. We are currently using them now while we are overseas, I have no concerns at all as I know our stuff is safe and sound. Very friendly staff and location is fantastic. Totally secure with A+ security. 24 access to storage is great and all facilities provided are clean, safe and 100% professional. Customer service is excellent and on all occasions I've dealt with staff my needs have been met within a short time. The location itself is kept in a neat and tidy condition and I am 100% confident that my items in storage are safe from the weather, theft and animals/pests. I have used two other storage services in Geelong but none compare to Storage King for price, facilities and staff. Thanks to all the guys there for their ongoing great service. No other storage services in the local area are on Storage King's level. They are the real deal and miles ahead of the pack. Everything you possibly need relevant to storage, moving, packing they've got covered. Everything! Welcome to Storage King North Geelong. This modern storage facility established in Geelong in 2006, provides economic storage solutions in the northern area of Geelong for households, businesses and car, all in a safe, secure and clean storage environment. Storage King North Geelong offers a flexible range of storage units to suit just about every need. Our units vary in size from a small room size up to a 5 bedroom house sized unit. If you have a need to create more space for your business or simply to store excess stock, Storage King can tailor a package to suit your specific needs. Storage King North Geelong proudly services North Shore, Norlane, Corio, Geelong West, Bell Post Hill, Lovely Banks, Bell Park, Hamlyn Heights and Geelong.